Hi there crafty peeps! Today I am sharing with you my inspiration for the newest challenge at the Craft Room Challenge Blog. I am sad to say this will be our last challenge for this blog. It has been a tough year for all of us do to other commitments and we have decided it is time to bow out gracefully. So with that said here is my card. 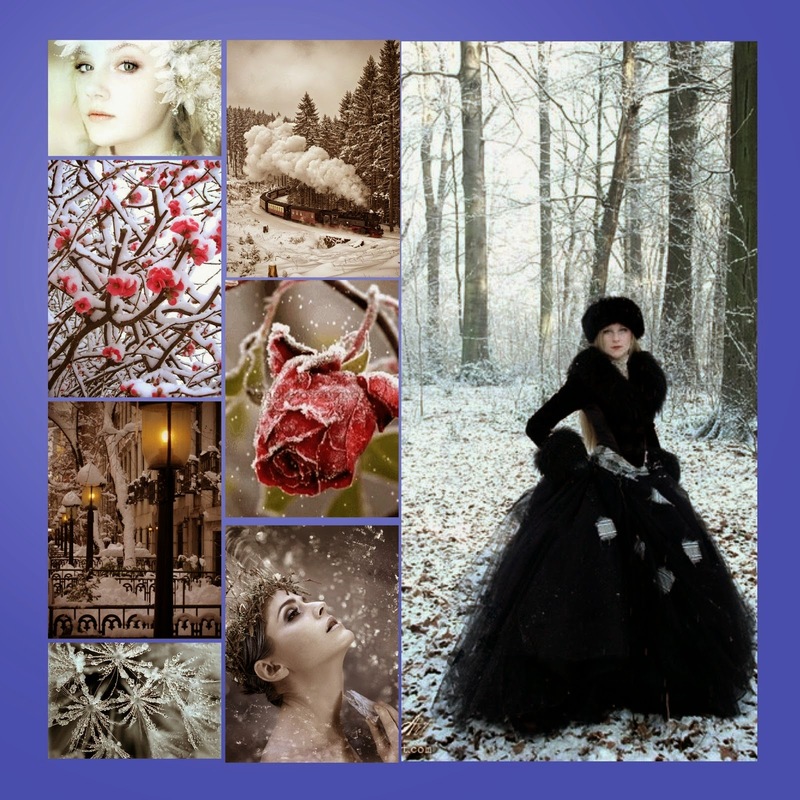 I was inspired by the winter snow-covered trees and the blues and grays of the photos. I hope you enjoy and head on over to the blog to link up your projects. Amber, this is just incredibly beautiful! I love the vellum sentiment. I don't know where you found that photo, but is so romantic and serene. Gorgeous ribbon, too! I am a huge fan of your gorgeous art!